About 6 million people in North America suffer bone fractures each year. While most recover well, 5 to 10 percent of these patients -- half a million Americans annually -- are resistant to healing, according to the American Academy of Orthopaedic Surgeons. UC Davis researchers are developing an improved surgical therapy for such fractures, that uses stem cells to speed recovery. After a broken bone is treated, new bone tissue usually begins to form and connect the broken pieces. However, some bone fractures don’t heal due to a lack of adequate stability, blood flow, or large bone loss, such as one might encounter in a high-energy car wreck or other trauma. Several other factors increase the risk of non-healing bones including old age, diabetes, poor nutrition, use of tobacco and severe anemia. Traditional treatments to address this problem, such as bone grafts taken from another part of the body can lead to additional pain, impaired limb function and other undesirable outcomes. In the last several years, treating the wound site with stem cells has emerged as a promising way to treat non-healing fractures. However, acquiring the necessary stem cells from the patient, a matched donor, or embryo is not without drawbacks of its own. 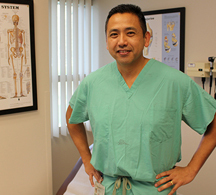 Even when the stem cells come directly from the patient, it requires a painful surgical procedure with general anesthesia and a large needle to retrieve the stem cells from the hip. In addition, the retrieved stem cells need to be isolated before they can be transplanted back into a patient, which requires a second surgery, and a longer combined recovery period. In their current clinical trial, Lee’s team is testing a new SynGen Inc. device that processes the irrigation fluid obtained during an orthopedic procedure. This irrigation fluid contains abundant stem cells and other factors that can be used to help make new blood vessels and improve wound healing. 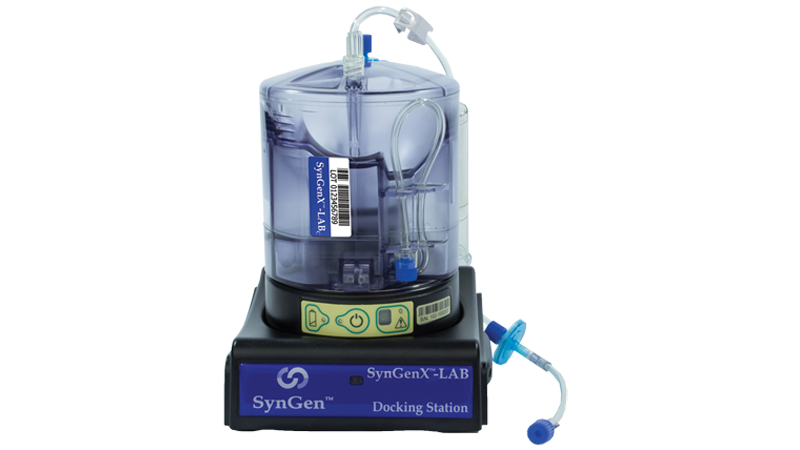 The SynGen device rapidly isolates a concentration of stem cells in less then 30 minutes. These concentrated stem cells are then delivered to the patient's fracture during the same surgery. In addition to being fast, the device is compact -- about the size of a food processor, so it can be easily used in an operating room.